New Los Angeles Lakers forward Antawn Jamison is already in his fifteenth NBA season. The North Carolina alum, who was named both the 1998 Associated Press and Naismith College Player of the Year, has come to LA in search of a long sought-after NBA title. Jamison's career has taken him to the Golden State Warriors, Dallas Mavericks, Washington Wizards and Cleveland Cavaliers. After two subsequent playoff-less years by Lake Erie, this offseason, Jamison decided to sign a league minimum contract with the Lakers. LA's underrated free agent acquisition may turn out to be the transaction that puts them back atop the NBA mountain. While the team's starting lineup is nothing less than stellar, the Lakers bench now stands as one of the deepest in the league, with Jamison serving as the primary reason for this belief. Look for the versatile, 6-9 forward to have himself a very solid season. 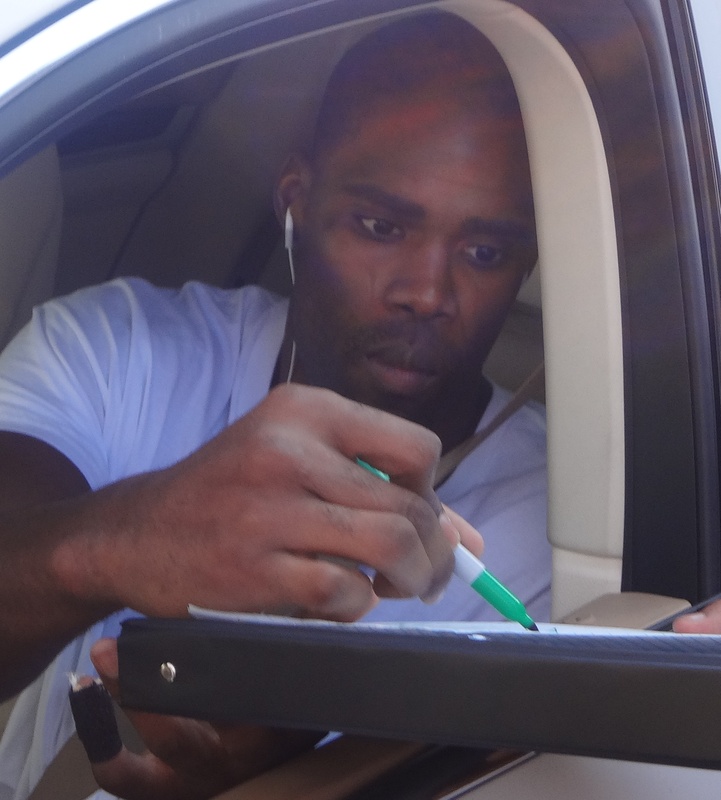 Tuesday, per the above iFolloSports.com original photo and linked original video clip, Jamison stopped to sign some signatures for the large gathering of Laker fans, waiting outside the team's training facility. Our guess is that the two-time All-Star has never experienced this level of fan interest, in any of his previous stops. Welcome to life as a member of the Los Angeles Lakers and it is only October.